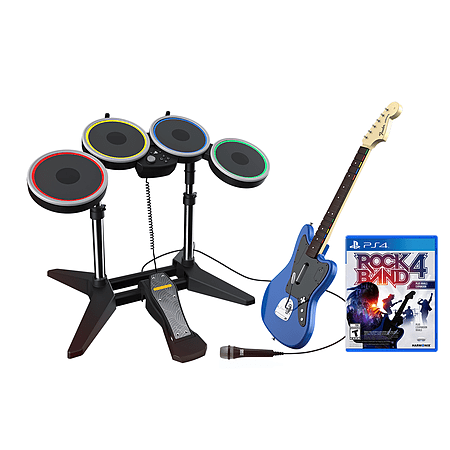 Band together with friends and crush your rivals with the Rock Band™ Rivals Band Kit for PlayStation®4. 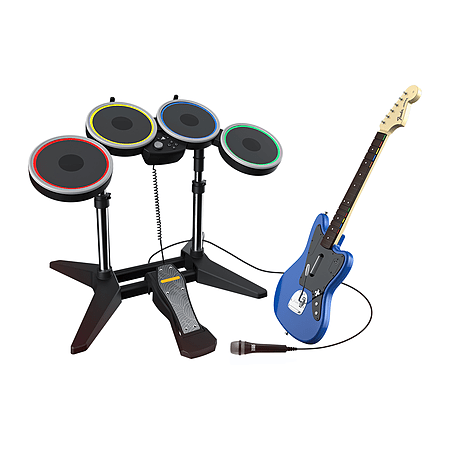 Get the all-in-one Rock Band kit, featuring Rock Band™ 4 game software, Rock Band Rivals expansion download code, a legendary and modernized Rock Band™ Wireless Fender® Jaguar Guitar Controller, Rock Band™ Drum Kit, the Rock Band™ Microphone, wooden drum sticks, adjustable guitar strap, and included AA alkaline batteries. 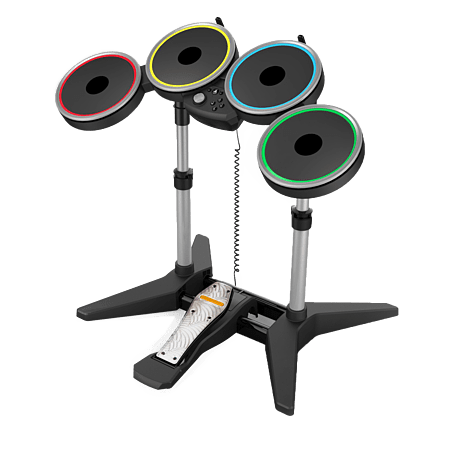 Created by Harmonix Music Systems, Inc., the award-winning developer of innovative music games, Rock Band™ 4 is the best party game on the planet, putting you and your friends on stage to perform the greatest hits in music history. The core game includes a soundtrack of more than 60 songs, and all of the feature updates released over the last year like Practice Mode, Set lists, and Brutal Mode. 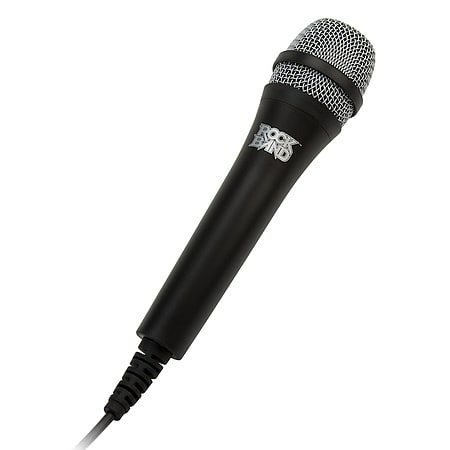 You also get access to the Rock Band Music Store and its 1800+ additional great tracks for purchase. Rockudrama: A new dynamic narrative campaign mode where you perform your way through an epic rock documentary about *your* band. Rivals Mode: Join Crews to prove your skill and crush your opponents through weekly challenges in Rivals, a brand new competitive online multiplayer mode. • Foldable guitar - a useful feature when traveling to Rock Band gigs! 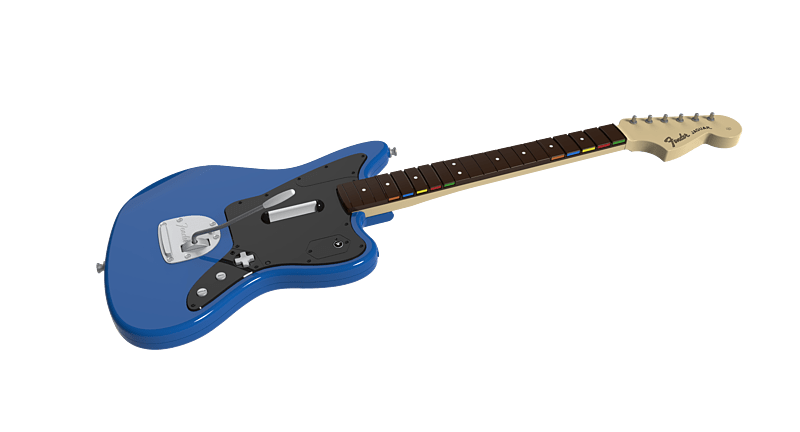 • Band Bundle includes Rock Band™ 4 game software, Rock Band Rivals expansion download code, Rock Band™ Wireless Fender® Jaguar Guitar Controller, the Rock Band™ Microphone, drum kit, wooden drum sticks, adjustable guitar strap, and 4xAA alkaline batteries.